This year natural and holistic health practitioners commemorate the centennial of the birth of one of the most influential champions of holistic health – Dr Bernard Jensen. He was a chiropractic doctor who believed in the natural healing power of foods, and the healing power of natural remedies and therapies. He was responsible for introducing and popularizing various natural healing methods to the English-speaking world. 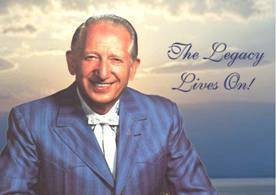 He personally treated over 350,000 patients with his natural lifestyle and nutritional prescriptions. He also taught and trained thousands of medical doctors and complementary health practitioners from all over the world, either at his beautiful Hidden Valley Health Ranch in California, or during his extensive travels across the globe. He studied, improved and promoted natural methods such as nutritional therapy, iridology, colon hydrotherapy, fasting, reflexology, herbology, homeopathy, craniopathy and many more. He authored more than 50 books and booklets and conducted thousands of classes and seminars right until his death. Although he did not discover iridology, his research and advancement on the subject were possibly the greatest contributions to the science. Because of him, many thousands learned and took up the practice. He introduced us to the people of the Hunza Valley and other remote communities famous for their longevity. He taught us the goodness of raw organic foods, juicing and detoxification. He educated us on the detox and healing powers of chlorella. He taught us so many things – which is why he is one of the most remembered and loved natural health teachers of all time. His teachings have been continued by his many students in their own countries. Thus his legacy lives on and his teachings have benefited millions of people on the planet. Some say that he was also among the most influential persons in encouraging organic farming and organic living throughout the world. Applying his own teachings, he lived to a ripe age of 93 ( he died on 22 February 2001 ), but not without battles with the scourges of cancer and ageing. He cured himself of cancer at the age of 89, and at 92, again stunned the medical doctors by recovering from injuries sustained in a car accident. Compounded by the effects of ageing, he was wheel-chair bound and incontinent. Yet he managed to recover using natural foods as medicine. Till the end he proved that foods and natural remedies could cure illnesses. He attributed his cancer to stress from the hectic schedule that included too much travels ( which also meant improper diet ), too many lectures, and attending to too many patients. Many doctors and natural health practitioners from Malaysia were also his students, and they continue to propagate and practise his wise teachings. One of them is my mentor and sister, Dr Jannie Chew. Dr Jannie Chew was a nursing sister who became one of the earliest students of Dr Bernard Jensen from Malaysia. She started one of the first natural therapy centres in Kuala Lumpur, and introduced iridology and colon hydrotherapy. She was one of the people who were instrumental in drawing my interest into natural and nutritional therapies. She was the person who made it possible for me to learn Healing Tao from Master Mantak Chia. 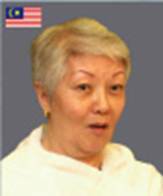 She was responsible for bringing both Dr Bernard Jensen and Master Mantak Chia to teach in Malaysia, and then she continued to promote their teachings. She is possibly the first Malaysian Reiki master, and was also among the earliest volunteers to promote HIV/AIDS awareness here. http://www.superqigong.com/articlesmore.asp?id=48 ). In fact she was the one who first told me about the Lucky Valley energy retreat, and also conducted the Healing Sounds sessions when I brought several groups there. In recognition for her dedication in continuing the works of Dr Bernard Jensen and in pioneering iridology and colon hydrotherapy in this region, she has been invited to be one of the international speakers at the “Centennial Celebration in Honour of the Life and Works of Dr Bernard Jensen” in USA next month. She will be conveying the greetings on behalf of all his grateful students from Malaysia. Iridology is the science of studying the iris of the eye as a way to know the health of the organs and systems in the body. The colors, markings and patterns in the iris give the practitioner information about the health condition of the various tissues and organs, and of the body as a whole. Iridology can thus be used as a tool for health improvement. The iridologist claims to know a patient’s susceptibility towards certain illnesses, past health problems, and observe health problems currently developing. He can then advise the patient to heal the body through diet and lifestyle modification, and natural and nutritional therapies if necessary. 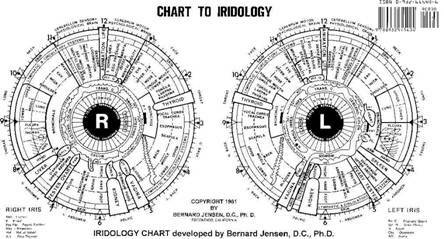 Dr. Bernard Jensen pioneered iridology in the US. He developed one of the most comprehensive iris charts showing the connection between the colors, markings and patterns in different “zones” to the corresponding tissues and organs. His chart is still the most often-used reference today. 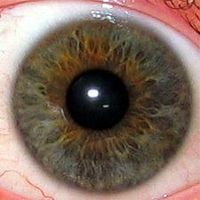 While iridology is a fascinating subject, unfortunately, scientific evaluation of iridology did not show it to be reliable ( see Archives of Ophthalmology. 2000 Jan;118(1):120-1; British Medical Journal,BMJ 1988 Dec 17;297(6663):1578-81; and Journal of the American Medical Association, JAMA 1979 Sep 8;242(13):1385-9 ). Nevertheless, there are many practitioners, including medical doctors, who feel that iridology does help in the overall evaluation of the patient. Bowel health and colon cleansing through a healthy raw-food/high-fibre diet and colon hydrotherapy were very much stressed by Dr Bernard Jensen. A colleague who went to the Hidden Valley Health Ranch to learn from Dr Bernard Jensen described how he learnt it first hand. When he arrived at the ranch, he was wondering why there were always people queuing up at the toilets. After just one day of eating the raw organic high-fibre foods served there, he understood why. Almost everybody had efficient bowels and were lining up at the loo 2 times per day! The fresh raw “living” foods and the frequent ridding of the body’s waste made them feel healthy, energetic and refreshed. Bowel health is tremendously important for the rest of the body. If the key to a man’s heart is through his stomach ( ie. food ), then the key to a man’s ( and woman’s ) health is his colon. The colon harbours about 100 trillion bacteria, of which 75-90% are “bad” bacteria that produce toxins. That is why faeces stinks, and retaining faeces in the colon longer than necessary is bad for health. You should aim to empty your bowels twice a day ( possible only if you take lots of fibre, drink lots of water, and exercise ), or at least once a day. If your colon is healthy, your faeces will be well-formed, floating, looks “clean” and does not stink. Poorly digested foods, especially red meats which rot easily, cause the toxin level in the colon to rise. This explains why vegetarians generally have healthier bowels, and why many holistic and nutritional healers advise cancer patients against taking red meats. Regular meat eaters have higher colon cancer rates, as well as higher risks for other cancers, hypertension and other health problems. Recently we were shocked to learn of a teenager who died of toxic megacolon. This is the condition where the toxins from impacted faeces leak into the body and poison it until it dies. It can happen even after only a few days of not defecating, as happened in this case, though usually it takes more than a week. This shows how toxic the faecal toxins can be, and why you should defecate at least once a day. You should also consider colon hydrotherapy to thoroughly cleanse your colon, which is actually your body’s septic tank. Even though there are home machines available, I advise that you go to a trained colon hydrotherapist to have it properly and safely done. It is best if done in conjunction with a fasting, juicing or high-fibre diet program, followed by reloading the bowels with plenty of friendly bacteria ( probiotics ) to re-establish a healthy bowel flora. When your bowels become clean and healthy, your internal organs will benefit and even your skin will glow. Those with stubborn skin problems will be surprised at how your skin may improve after a course of colon hydrotherapy followed by proper bowel nutrition ( fresh raw foods, enzymes, fibre, probiotics and lots of water ). The next time you empty your bowels, don’t forget to see if it floats like a boat or sink like a submarine!